Has anyone ever slept on a trundle bed? Will I hate having 3 in an inside room? 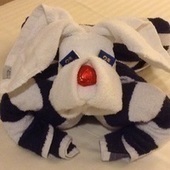 I dread the thought of three adults in a tiny inside room on the Norwegian Jewel. Has anyone slept on one of their trundle beds? Not a pullout/bunk bed, but a trundle. What was your experience like? Tags: Norwegian Cruise Line Norwegian Jewel Am I in for a tight squeeze? I've not been on a trundle bed on a cruise line, but in most trundle beds, they will roll out from under the couch and then raise up to the level of the couch, making a rather large bed area. Slept on trundles before. Equivalent to pull out couch. All depends upon mattress. Not to beat this to death...poor choice of words perhaps..but have you seen the actual square footage of an inside cabin? If you actually "dread the thought of three adults in a tiny room" why are you doing it? Inquiring minds and all. We had a pullout about 6-7 cruises ago. part of the couch. we pulled it out (morbid curiousity) and decided the floor would be better. Having said all that, we had a very interesting conversation with a couple our last cruise in NOV on BREAKAWAY. He was a retired college Professor, and she was a HS teacher, still working. Seemed to me they could get any cabin they like, but they CHOOSE inside cabins. He claimed they had about 60+ cruises on a variety of different lines, and they less they spend on cabins the more they could cruise...Do the math...hmmmm...and second, he says all they ever used the thing for was to grab some sleep, and then theyre out of there. He said its a vast improvement over European Hostels they stay in. After that comment, I smiled, and ordered another drink...sheesh....enjoy the cruise!!!!! I need the balcony. I tried one cruise with a window and felt like I was in a prison cell. I cannot imagine how I would feel in an inside. You have an inside and get the noro or some other bug, you are quarantined to your cabin, they feed you there and everything else. If you cheat, you are put off at nearest port, your expense. Enjoy your inside cabin. "and second, he says all they ever used the thing for was to grab some sleep, and then theyre out of there." On one Cruise years ago on the NCL Star we booked a cabin with a trundle bed (none of use wanted to climb into an upper birth). My TA advised against NCL but we booked anyway. I called to confirm with NCL that it was a trundle and not a upper birth and they said it was a trundle. I had my agent call to confirm also. Sure enough when we got on the ship it was an upper birth, we went to the desk and were told, too bad, that is the cabin you get. I called my TA and he said that's why he does not like NCL. I would suggest you get in writing from NCL that it is a trundle and not an upper birth. The cabin would have been wall to wall beds with a trundle out. We have cruised in inside and balcony cabins and occasionally in oceanview. In 30+ cruises, we have been quarantined once and that was in an inside. While it would have been better with a balcony, it was quite tolerable with free movies and room service. I would rather be in a balcony (or better still a suite), but that would mean cruising once every few years. We like to take more cruises to interesting places, so sometimes the budget requires inside. I prefer to be in an inside cabin than at home!